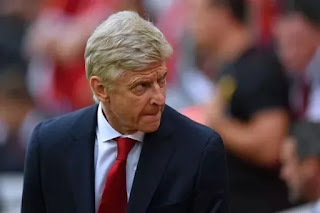 Arsenal chiefs are reportedly considering sacking Frenchman Arsene Wenger at the end of the ongoing Premier League season if the Gunners fail to qualify for the Champions League. Wenger's contract expires at the end of next season, but Arsenal are keen to avoid a repeat of the uncertainty over his future that plagued the team last year. According to the report by Daily Mail, Arsene Wenger's future at the club will be sorted out at the end of the season and two things will determine his fate at the Emirates Stadium. Arsenal chiefs want the Gunners to finish the ongoing Premier League season among the top four or win the 2018 Europa League title which will make the Gunners to qualify automatically for the Champions League.